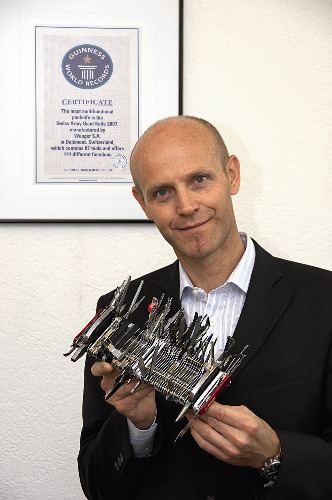 Guinness World Record Holder For the Most Multifunctional Penknife in the World. Perfect for the people who need to show other people what a ridiculously huge pocketknife they have. 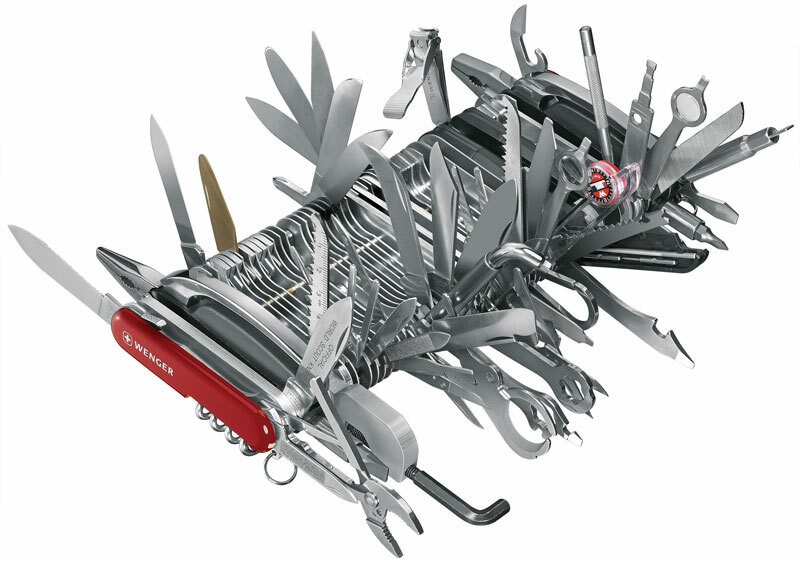 This pocket monster has 87 implements with 141 functions, including a cigar cutter and laser pointer.